Yul Edochie has joined the increasing list of celebrities who have come out to speak about Nollywood since the now famous video where Kevin Ikeduba slammed the industry went viral. In his tweet on Thursday, December 13, 2018, the actor turned politician said apart from Nollywood, there is no love anywhere rather everyone has to love themselves. “They say there’s no love in Nollywood. I laugh. Brethren there’s no love anywhere, not only in Nollywood. The world is tough, it’s a jungle out here. My advice: Don’t wait for anyone to love you, love yourself, help yourself. Work hard, pray & do what’s right in the sight of God,” he tweeted. 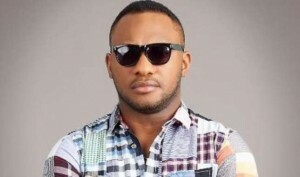 This tweet from Yul Edochie is coming also at a time a number of celebrities in Nollywood have come out to slam the industry over its unfriendly and unreceptive nature. Recall that a few days ago, AY called Nollywood a backstabbing community. AY’s reaction to Kevin Ikeduba’s now famous video will leave you speechless as he reveals that Nollywood is a backstabbing community. The comedian took to his Instagram page on Tuesday, December 11, 2018, where he reacted to Kevin Ikeduba’s now-famous video. In his post, AY agreed with the actor in all levels stating different flaws in the industry. “As a growing actor and a movie producer, NOLLYWOOD has exposed me to both the good, the bad and ugly. Barely few years in the industry, I have experienced all sorts from the stables of the high and mighty self-entitled ‘stakeholders’, to the very insecured individuals whose only claim to fame is an old testament fact of “We started this industry”.The above post by @kevinikeduba has given me the courage to further introduce you to our Nollywood. So welcome to an industry where rivalry and fakeness is fast becoming a legacy designed for posterity. Welcome to a backstabbing community where some pretend to love you in the open and condenm all your determination and efforts to succeed when you are not there. Welcome to an industry where enmity reigns supreme… Eg “If you are using her in the movie, then I can’t be on it”, or “I can’t be in your film and not play the lead role”. Gabriel ‘Gabigol’ Barbosa Set To Join Inter Milan?